Did you know speed is a crucial component in running a successful website? Not only will a gallery that loads faster help you to keep your visitor’s attention for longer, but it can also improve your SEO rank by reducing bounce rate and increasing domain authority. Unfortunately, images are notorious for slowing down website loading times and harming user experience. Since a gallery is packed full of crucial visuals, you can’t afford to take chances with the loading capacity of your pictures. So, how do you speed up your gallery on WordPress, without harming the quality of your images? One of the easiest ways to improve your gallery speed is to optimize and resize your images before you upload them. Each of the themes available for WordPress will only be able to display your pictures at a certain size. If you’re uploading pictures beyond your theme’s maximum display size, you’re just weighing down your site. A better option is to simply adjust your image dimensions before they go into your gallery. Find out what kind of dimensions your theme can support, then either use a plugin or re-sizing website to easily transform your pictures. Tools like “Batch Image Resizing” are great for large gallery collections. Once you’ve adjusted your image dimensions, you can take it to the next level by compressing your pictures. 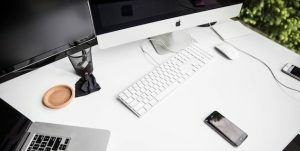 Because you want your gallery to look great, you’ll need a “lossless” compression strategy, which reduces the size of your files without harming image quality. As with resizing, you can use either a plugin to help with compression or a standalone tool. Smush Image Optimization and Compression is one of the most popular lossless compression plugins in the market. 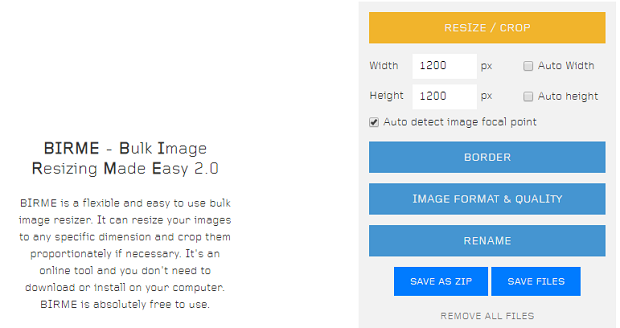 It can also resize your images while compressing it, so it’s great for 2-in-1 strategies. Sometimes, it’s not the size of your images that are slowing down your site, but the way that your visitors are accessing them. A CDN, or Content Delivery Network, can be a good way to speed up your site by placing your resources in a data center near your visitors. The further your server has to travel to retrieve your content, the longer your gallery images take to load. With a CDN, your files exist in multiple locations around the world and load from the center that’s closest to your customer. It’s a quick and simple way to instantly boost your load times. If you’ve ever explored ways to speed up your gallery or website before, you’ve probably come across the term “caching”. This is a common way to enhance website performance by telling browsers to store certain files from your website so that they don’t need to load again when your users come back to your site. For your gallery, caching means that your visitors will only have to load the content that they want from their local cache, rather than having to reach out to your server. To implement a page caching system, you can try a plugin like Cache Enabler. It’s quick, easy to set-up and very lightweight too! Finally, one of the most important things you can do to both improve your gallery speed and protect your photography is to disable image hotlinking. When hotlinking is enabled on your website, it means that someone else can post images from your site to their own, while using your server. You should disable this option as quickly as possible, so you can focus on building your own site. There are plenty of options to help you protect your images, including the All in One WP Security and firewall plugin. Additionally, for extra peace of mind, you can always consider adding watermarks to your valuable photos with Envira Gallery. Hopefully, this article has taught you a thing or two about how to speed up your gallery. To learn more about enhancing your photography business, follow us on Facebook and Twitter.